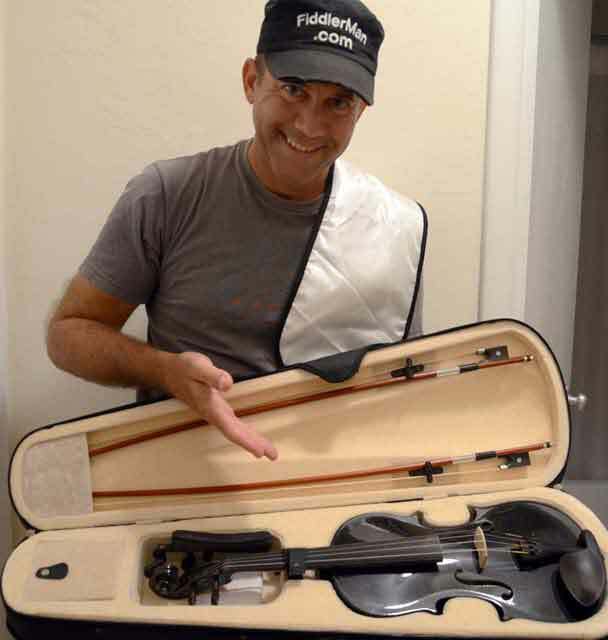 Free violin give away date decided | LEARN TO PLAY THE VIOLIN FOR FREE! Many of Fiddlermans guests and members have written emails asking where they might find an affordable instrument to begin learning to play violin. This is the first of hopefully many tests to try to help potential violinists make good decisions. The violin was bought to test if the unbelievably inexpensive instruments could produce any acceptable sound whatsoever. To my great surprise, the violin ending up being way better than I could ever imagine plus it included items that were not even necessary such as a chromatic tuner, and extra bow, extra strings and an extra bridge for which reason I will never understand.